According to experts, sleep apnea is an under-diagnosed condition, and more men than women suffer. If your sleeping partner says you snore or stop breathing while asleep, or if you experience daytime sleepiness, contact our Fort Worth dental office for a consultation. 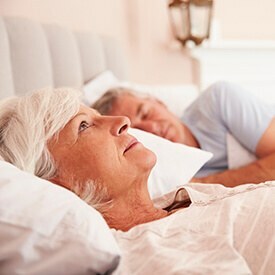 A sleep apnea device may improve your quality of life. It’s just another way your dentist can help you smile.